Twenty-somethings are on track to make up HALF the workforce by 2020. That’s right- 50% ! They are the most diversified, most educated, and most socially conscious generation so far. At 2.3 billion strong [that’s right-billion with a ‘B’] they will be shaping the global economy at a profound level. They are progressive, passionate, motivated and demand high standards at work. They are willing to work hard to give back, make a difference in the world and create a legacy, not just a job. These pluses come at a price which is why employers will be forced to take it up a notch very soon. Millennials bring with them a range of new challenges. Financially, the most impact will be felt in higher attrition and the costs associated with employee turn-over. A full 54% expect to have 2-5 employers and 30% expect to have 5-10 employers. 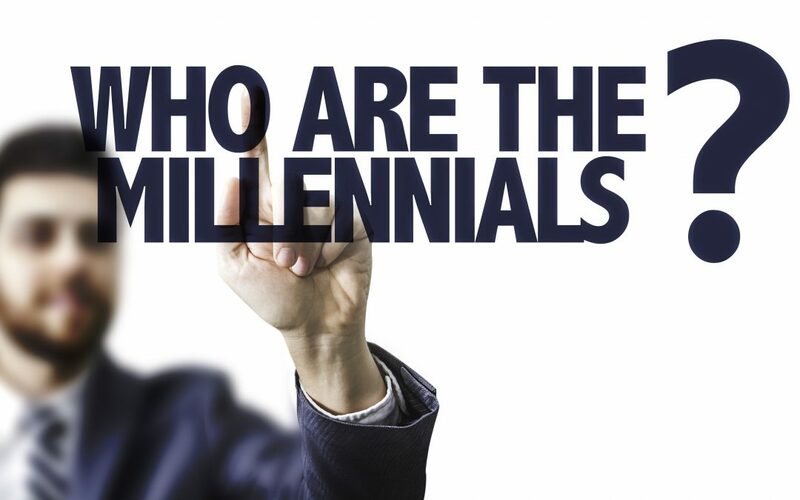 Only 4% of Millennials expect to have one company that they work for over their entire career. This means the cost of attrition will be double what it is for older workers, like Baby-Boomers. Corporations will need to foresee the future and build into their budgets a higher cost associated with replacing talent. Other important things include work/life balance, good feedback, challenging roles, travel, and freedom. They are UN-willing to compromise on gender/race bias, stagnation, and rigid hierarchies. They want to be stretched and challenged ―and paid accordingly. Don’t waste their time: Apps are here for a reason and they know it! Seamless, automated and well-designed technology will translate into a great experience for them. Self-determining service model: Put Millennials in the driver’s seat of the buying experience and make it easy to give you feed-back. The experience matters: Within the arena of technology, they want even ‘necessary evils’ to be fun. Create an experience in person, and online, that is a full-circle encounter. Fast and faster: Make sure your ordering experience is superb and in real-time. Make sure shipping is fast and exchanges hassle-free. Amazon and Zappos have this right. Speak their language: Yes- they do tweet, text and post on Facebook but they also have a great acuity to detect bulls**t. Scripted sales and service is out- they want authentic communication. Value-based purchasing: Millennials want to know your company is green, ethical and has a bigger purpose. They will become lifetime customers if your company is conscious and grows with the times. For more information or to have this information brought to your next event, please email me at Mark@markluterman.com and please check out my new book: Abe’s Final Masterpiece-A Symphony of Lessons for Business and Life .